Sunny In Georgia's "LANGUAGE" tank. 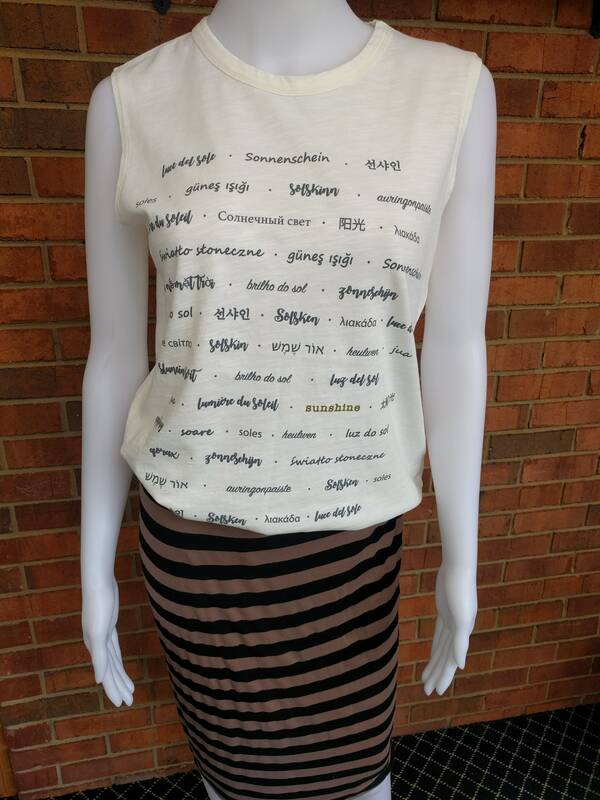 Sunshine is printed in different languages on this garment dyed slub sleeveless tee! 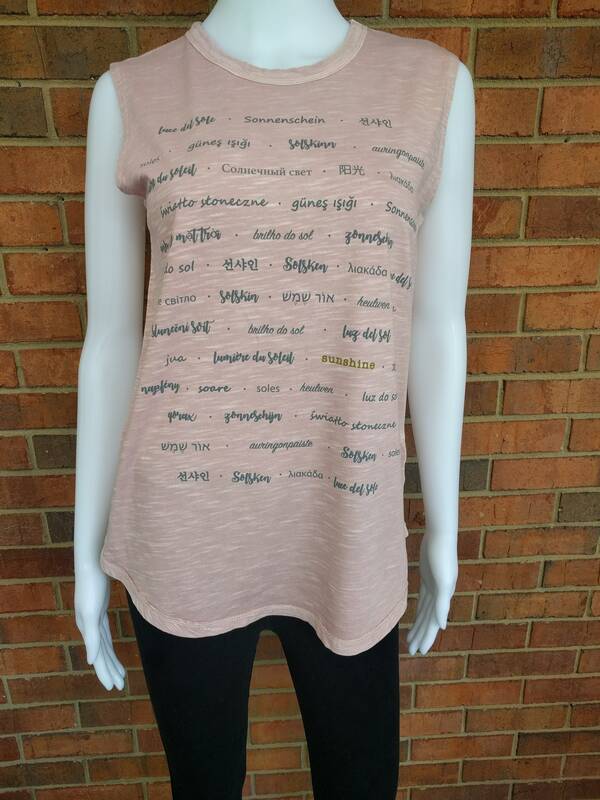 With a slight raw edge and inside out details, this tee will elevate your wardrobe. 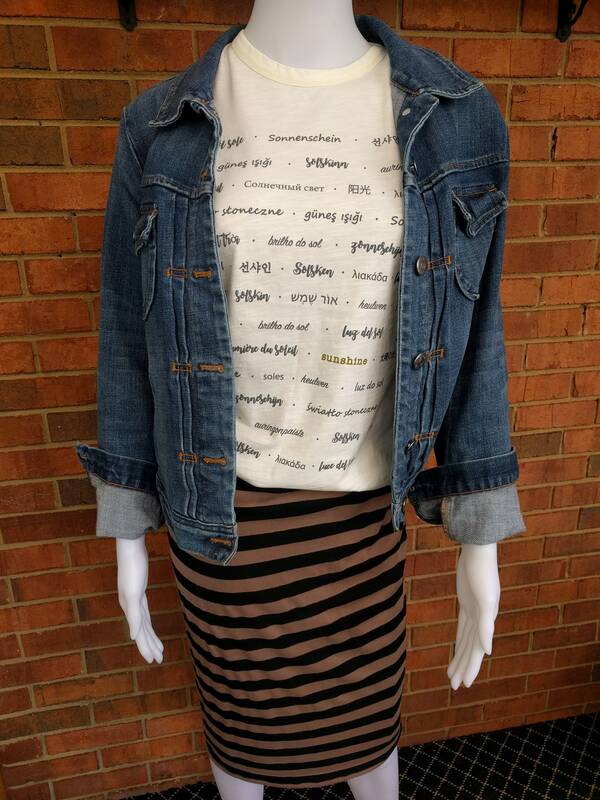 Pair it with jeans, a pencil skirt or leggings! 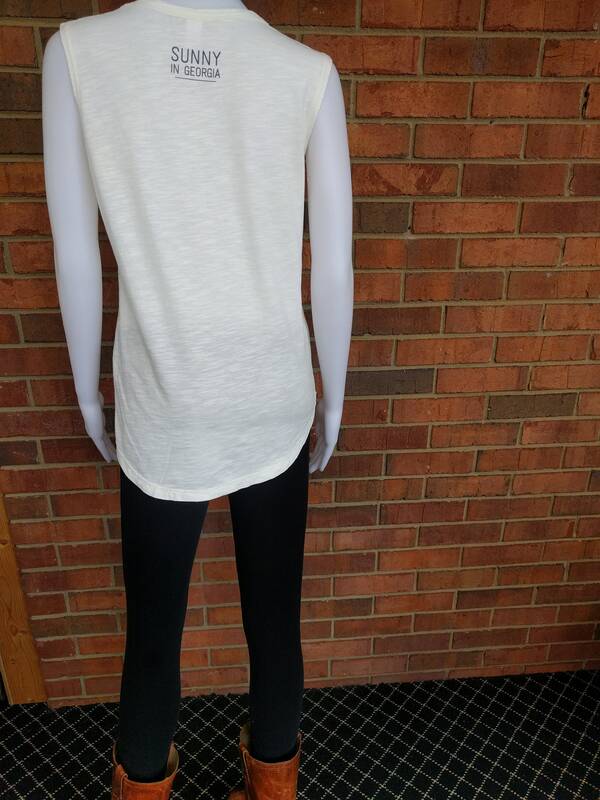 Flattering shape and shrinkage is minimal. 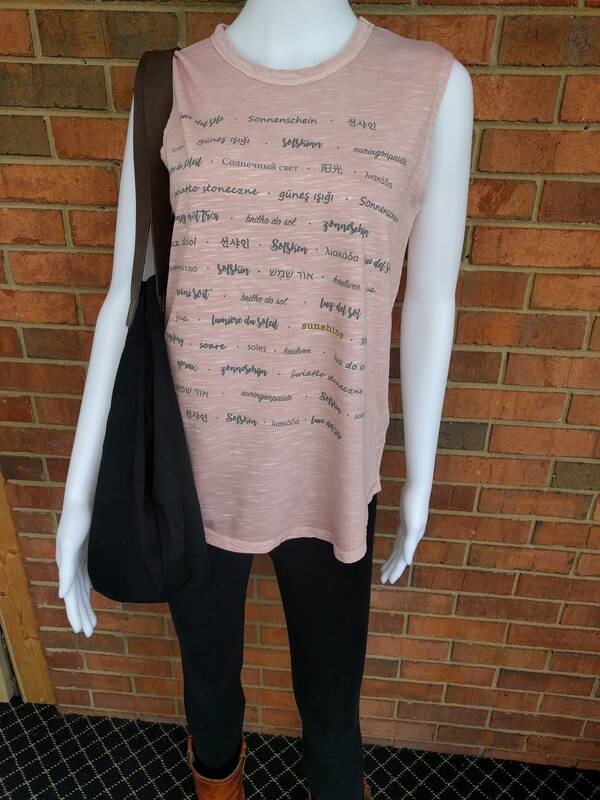 Offered in white or pink. "Sunshine" in english is printed in a different color. 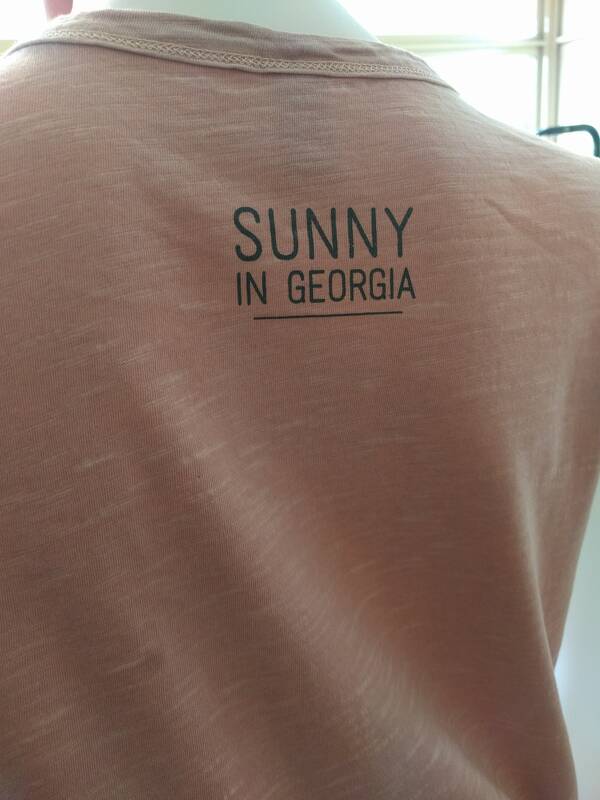 "Sunny in Georgia" printed on back nape.